Three Kings’ Day draws the New Year celebrations in Ticino to a close and brings together both Mediterranean and Central European traditions. One of these is Canti dei Rei Magi or Canti della Stella singing which has been listed as a “Living Tradition of Switzerland” since 2012. Children dress up as the Three Kings and go from house to house singing old and new songs, including religious melodies from the 17th century. 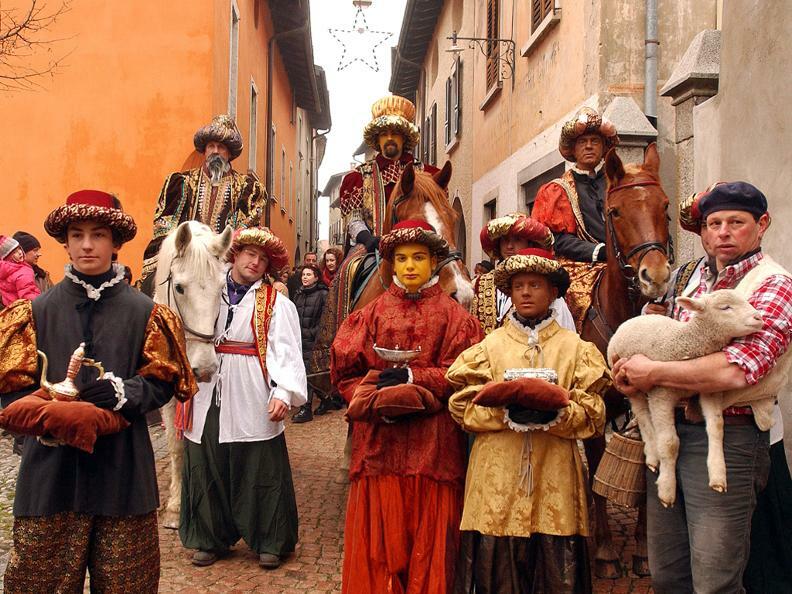 In some villages, such as Morcote, Vira Gambarogno, Arzo or Castel San Pietro, Gaspar, Balthasar and Melchior ride into the centre and hand out sweets to local children in the church square. One particularly popular edition is held in Val Capriasca near Lugano on 5 January. Children from the region show people dressed in costume the way into the Capuchin Convent in Bigorio where they are received by the Three Wise Men. Mass is then held in the Chapel. In addition to the Three Kings, Ticino also welcomes the figure of Befana around this time of year. She is a mythical figure who is widely loved and known in neighbouring Italy. The name Befana itself comes from epiphany, i.e. the religious festival. According to Italian tradition, she is a good witch that flies around on her broomstick on the night of 5 January filling children’s socks with presents and sweets.